Carrying a large volume of trash back and forth to a dump site is a tedious and tiresome activity. Instead of exhausting yourself ferrying rubbish from the home to the dump, why not hire an Adelaide mini skip bin company to get the job done fast! In the case of major rubbish removal, such as home renovations and remodeling, choosing a skip bin hire in Adelaide is both practical and beneficial for homeowners. Several benefits of hiring mini bins is that majority of the tedious tasks will be done for you. Besides filling the skip bin with rubbish your main job is to ensure you are getting the most bang for your buck. 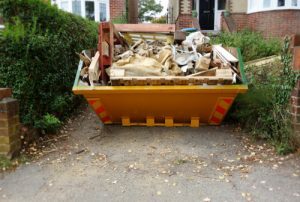 Here are a few pointers on how to score a cheap skip hire in Adelaide, and how you can reduce your overall cost while successfully getting rid of all the rubbish at home. You need to decide on the size of the mini bin that you need for certain activities. If you are expecting to clear out a large quantity of rubbish, pick mini bins 2m3, 3m3, and 4m3 dimensions. For larger volumes of waste, we highly recommend you looking at skip bins 5m3, 6m3, 8m3, and 9m3 dimensions. Don’t settle for the first skip bin hire in Adelaide that you find online. To get the best deals, look around and request quotes from multiple companies. Ask for referrals from friends and family who have experience in hiring skip bins in the past. Comparison shopping for skip bin hire services is important especially if you are working on a tight budget. If you are expecting to generate a lot of trash from your home renovations or spring cleaning, organise your rubbish so it’s easier to dispose them once the skip bin is delivered to your home. To avoid renting an additional skip bin, get rid of smaller items in your regular trash bin. Items that are bulky or are too large to be thrown in the garbage bags should directly go the skip bin. Planning out how to dispose of your rubbish will help you get the job done in a fast and efficient manner, too! To learn more about skip bin hire service in Adelaide or if you wish to request for a quote, give us a call on 02 8325 3033 today.